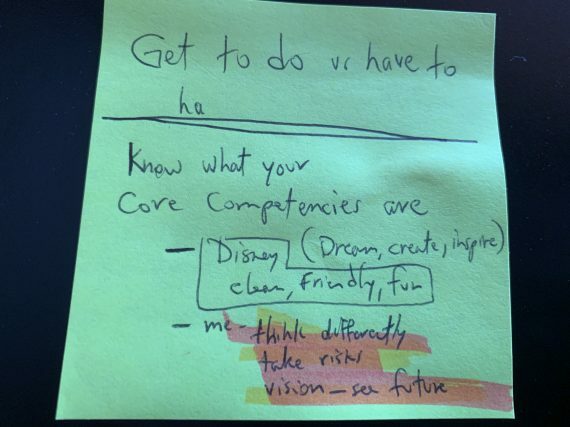 If someone asked you, “What are your top three professional core competencies?”, would you have a ready answer? If you were asked, “Do you get to do more than you have to do?”, would you know what this means and would you have a ready answer? You have two choices with the hard stuff. The hard stuff in this context is getting and staying decently organized. Is it challenging to easily pick one of the two? But you need to be over-focused on picking your choices. When you’re not over-focused, you are distracted, entertained, and medicated with life. You have personal organization habits that are by default, not by design. What can a $10 keychain do for you?